Many digital marketers tend to confuse a marketing agency proposal for a marketing pitch. In essence, a proposal is a document that expounds the marketing pitch and details what you will offer the client without the limitation of stating it in a few sentences. The digital marketing proposal is the broader pitch process where the client filters a large number of agencies that are interested in providing marketing services. The proposal stage involves preparing an actual document that provides adequate details; therefore the skills of putting together a formal proposal are necessary. Various template guides will help you learn to write your company's marketing proposal template. The template will help you avoid the repetitive stage of having to start from scratch every time you need a proposal. However, you must make sure each proposal is unique to the client to whom you are currently selling your services. 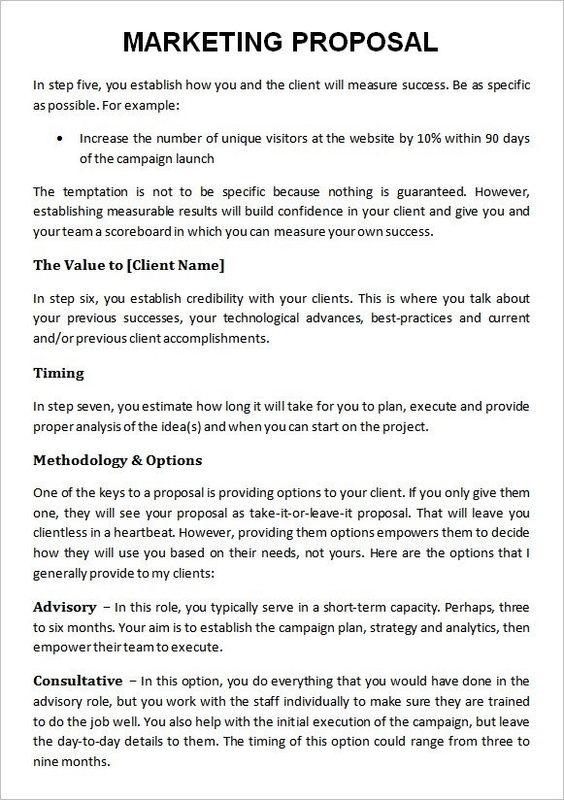 Below are a few pointers on creating a winning marketing agency proposal. When collecting information for the proposal, you will need a reference from scoring criteria provided by the client. Assess their standards as this will determine the information that will ensure you get full marks in each area of their rules. The scorecard makes it clear what particular experience or technology the client finds as necessary or mandatory. This move will help you deal with barriers that arise due to the client's demands on your expertise since you will be better prepared to address them. You will have the platform to discuss these barriers with the client. The second step is to focus on gaining insight into the client's needs. 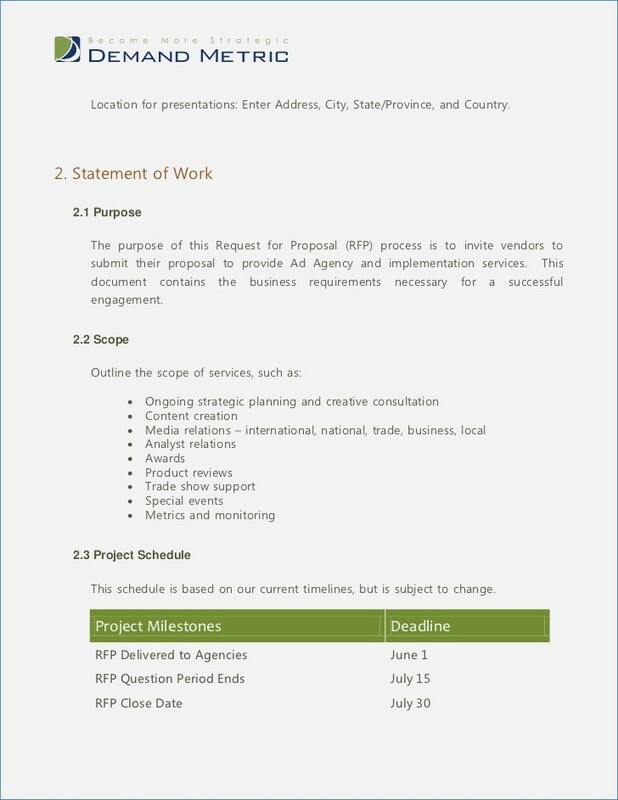 If possible, use the RFP (request for proposal) or information you've been given beforehand to understand the opportunities or business problems you are being asked to address. From this insight, you will be better placed to generate effective solutions an include them in the proposal. If the RFP doesn't yield enough insight, you should ask the potential client about their business needs and concerns that should be addressed. If you can, find opportunities to talk to the teams that handle digital marketing in the client's business. This gives you great insight into who the proposal will be "speaking" to and what they expect from the agency. In most cases, the person who sent the RFP isn't necessarily the one who will read and score your proposal. Thus, by knowing who will handle the digital marketing jobs in the company, you will tailor the marketing agency proposal to suit their "language." What are your previous marketing campaigns? What strategies worked, and which ones failed? Are social media profiles are involved? Are there videos posted online? Executive summary/introduction: This introduces your marketing agency to the client. You can include a one-page summary of your services, resources, testimonials, and awards. This summary should be kept short and concise. The scope of work: This spells out the proposed services based on the initial discovery work. In this section, you should detail how you will make a difference to the client's business through the strategies and services you are proposing. The client's selection team will have to sift through numerous proposals. Therefore, make sure your marketing agency proposal has a clear structure and is easy for the client to digest. Make sure the proposal includes the contents page, distinct sections, logical headings, and branded headers and footers.